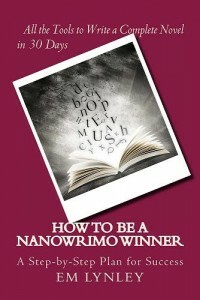 Home » Blog » #NaNoWriMo starts in 8 Days–Are You Ready to Write? #NaNoWriMo starts in 8 Days–Are You Ready to Write? Now available in print and digital versions. Author EM Lynley has used this technique for more than five books, and shares her proven method with you. Available from Amazon, Smashwords and ARe/Omni.Or download direct from Smooth Draft.